We are pleased to announce the date for the 2018 festival! 2017 High School Grand Champions! Mixed Choirs, Men’s Choirs, Treble Choirs, and Chamber/Madrigal Choirs at the junior high/middle school and high school levels are eligible to participate. Each choir must have a minimum of twelve (12) singers. Chamber/Madrigal choirs must have at least 12 but no more than 24 singers. The fee to participate is $250.00 per choir. The fee(s) must be received by the UM Choral Office prior to the festival date. If payment is not received prior to the festival date, your school will not be allowed to participate (even if your application has already been received). The application to participate is due by September 12, 2018. The payment (in the form of a check or purchase order) is also due by September 12. Please find the online application by clicking the Festival tab at the top of the page. The online application can be submitted entirely online, no printing necessary! Please submit only one application form per school! Our festival does fill up quickly, so it is in your best interest to send your application and fees as soon as possible. Applications with payment are accepted on a first-come-first-serve basis. Once the day is full, we cannot accept additional applications. We are no longer able to offer refunds. We apologize for any inconvenience. Each group will perform two required selections suitable for adjudication. Each group will be allowed ten minutes to walk on, perform, and leave the stage. There will be no warm-up time on stage. Warm-up time will be provided prior to your performance. You will be provided specific schedule and procedure information after the application deadline. There is no sight reading or required music list for this festival. However, we do not allow Broadway show tunes/arrangements, show choir music, or any recorded accompaniment. There will be a panel comprised of three judges who will give voice recorded comments on your performance. In addition, you will receive a written score sheet from each judge. The voice recorded comments will be emailed to you by Sunday evening, September 30. Three original music scores for each piece to be performed will be required at the registration table. (No photocopies will be accepted without a stamp or letter of approval from the publisher.) These music scores will be given back to you with your score sheets. Each group may participate for comments only or comments, rating, and competition. Ratings of I, II and III will be given, and numerical scores will be used for the competition. 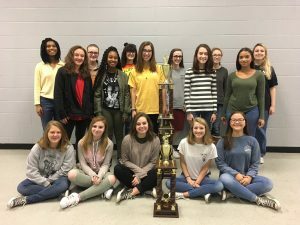 Trophies for “Best in Class” will be awarded to choirs with the highest numerical score in each category (must have a “I” to qualify), and a sweepstakes trophy will be awarded to the highest scoring high school and middle/junior high school choir. 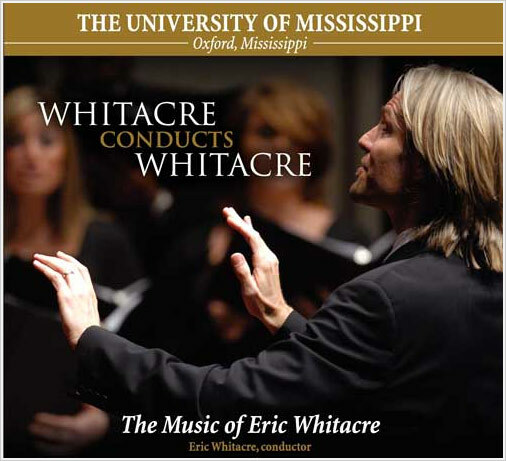 If you prefer to have the application form faxed or mailed to you, please call the Office of Choral Activities at (662) 915-5115 or email me at cmjones9@olemiss.edu.